A few months back I attended a 30-minute conference call hosted by Stephanie Greunke, Robb Wolf’s registered “Paleo” dietician and a member of his consulting team. The call centered on post-WOD nutrition from a Paleo standpoint, and I’ve been meaning to type up the notes forever. She spoke pretty fast – we only had 30 minutes – so I hope I captured everything as accurately as possible. I don’t need a disgruntled call from RW’s team, haha. The most important take-away is this – you have a 30-minute window after your WOD to consume a mix of high-quality carbs and protein. Do not consume fat, as this will slow the absorption of glycogen into your muscles. According to Greunke, the four goals of post-WOD nutrition are Replenish, Replace, Recover and Repair. The most important goal is to recover your immune function after a WOD, because working out is considered a stressor on your body. Too much exercise is not a good thing because it takes a toll on the immune system. You can help mitigate this by eating real food, not goo’s or gels or powders. How Does Paleo Stack Up Against the ADA Recommendations? 2.7-4.5 grams of carbohydrates per pound of body weight per day – much higher than Paleo/Primal diets. 0.5-0.8 grams of protein per pound of body weight per day – typically lower than Paleo/Primal. Fat comprise not more than 20-35% of your total energy intake – much lower than Paleo/Primal. There is no one single approach to post-WOD nutrition. It all depends on the individual, their biology, their goals, and their needs. For example: Are you burning fat or sugar? How much are you sweating? Was it a power or conditioning workout? How long are you resting between workouts? Let’s look at an example – You just went through an intense WOD, and now you are on the floor and sweating heavily. You’ve pulled glycogen from your stores, and you need recovery. Are you pushing yourself to this limit every day? In CrossFit, typically the answer is yes. Looking at CrossFit performance – your post-WOD nutrition also depends on your carb intake and training schedule. If you skip carbs until after the WOD, you might need to increase your carb consumption throughout the day. And this can vary greatly from day to day. So what are some rules of thumb with regard to carb consumption? If you’re lean and not insulin-sensitive – 25-100 grams of carbohydrates per day. If you’re lean and focused on performance – aim for a higher range of carbs. If you’re overweight and insulin-sensitive – aim for under 25 grabs of carbs. While there is a limit to how much glycogen we can store in our bodies, fat is unlimited. What Happens in Your Body Post-WOD? Your body experiences increased cortisol during the post-WOD window. Cortisol is a stress hormone that signals your body to store fat. We want to minimize the amount of cortisol released by consuming nutrient-dense foods after working out. What else happens post-WOD? Inflammation increases in our bodies, and we experience the breakdown of muscle as our body tries to replenish its stores. What can prevent this? By giving your body what it needs, and consuming a blend of carbohydrates, protein, and branch amino acids immediately after you WOD. The metabolic and anabolic processes last 24 hours after the WOD. So to reap the greatest benefit, food quality needs to be high throughout the day. And keep in mind, you need a mix and range of nutrients. During the 30-minute post-WOD window is when we experience increased protein synthesis. It’s when we lean out and build strength. During this window, toss all the rules out the door. While depleted glycogen stores are less likely in CrossFit than they are in marathons and other activities that extend past the 90-minute mark, you do need carbs to replenish and restore the muscle, and allow it to repair itself. You could also do fruit, but fruit alone is not as effective as the above options. Fruit will provide glycogen, but it will fill the liver with glycogen when we want it to fill the muscle with glycogen. Protein options – meat! Protein powder can also be used. 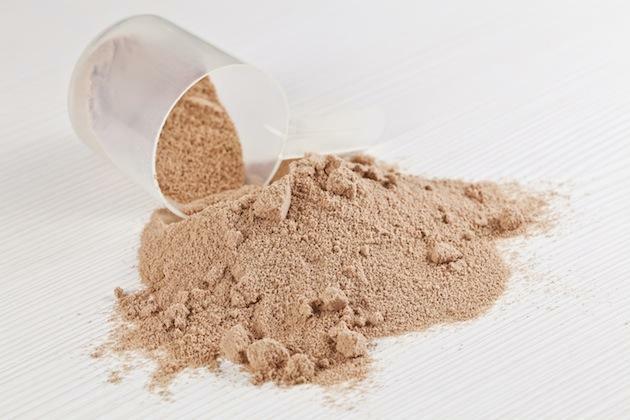 If your goal is to replenish your body, then protein powder is OK to use. But it won’t help you lean out. You do not need a lot of fat in the 30-minute post-WOD window. Why? Fat slows down absorption. While we want this in our daily meals, we do not want it in that 30-minute window when our muscles need to repair. It will prevent that glycogen from getting into the muscles in time. Speaking of salt, you need post-WOD salt. Paleo is typically low in sodium, so we need to ADD salt.